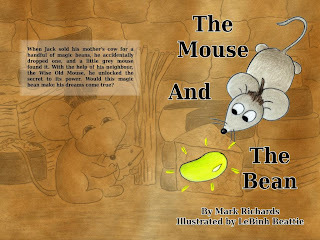 Order The Mouse and The Bean today, from Lulu.com! Use promo code CYBERTUESDAY to get 30% off your order. The making of, Part 5: Putting it together. 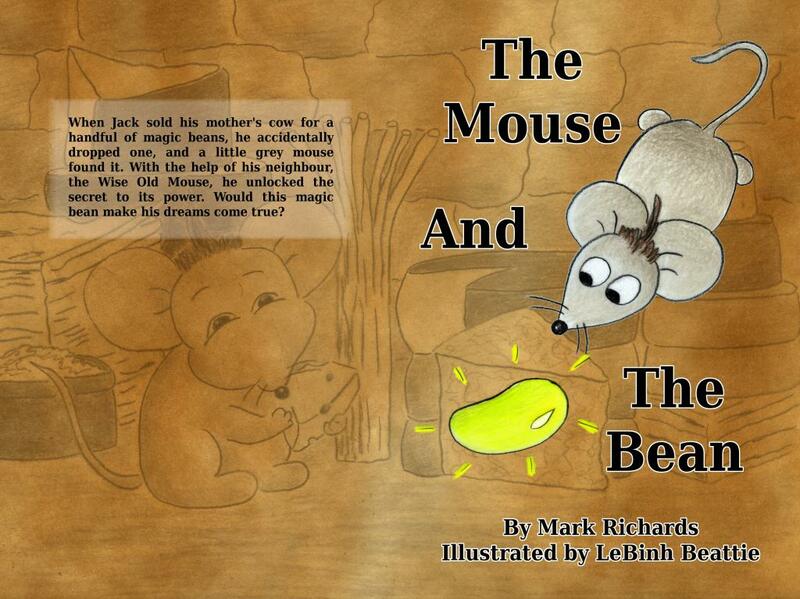 Several people have asked me about the tools I used to create The Mouse and The Bean. Here is a brief rundown. To start with, my computer is running Fedora Linux. I avoid using Windows (except for gaming) because I value the freedom which Linux provides. When I run Linux I know that the people who made the software usually have my best interests at heart. There are no anti-features, or features which serve to benefit some foreign business at my expense. There is also a wide variety of professional tools for just about any purpose. Some of these tools are the best in their categories. For graphics design and publishing there are some decent tools available. I typed the text using a text editor called jEdit. Just about any text editor would do, but I like jEdit and I'm used to its features. I scanned the drawings using Xsane. This is not the easiest tool to use, but it works and is fairly powerful. Depending on your scanner, you might have much better Windows software available. I found that the Epson software which came with my scanner was really good. But while in Linux, Xsane does the trick. I edited the photos using Gimp. Gimp is pretty good. It has some flaws. But for my needs it was more than enough. Sometimes its user-interface design gets in the way, but feature-wise it's hard to beat. I put all this together in a program called Scribus, which is a desktop publishing program with lots of features. I probably used 1% of the features. Scribus is awesome. But it's not super-easy to use. However, it does let you do layout and publish to PDF, which is what I needed. Scribus let me import the text from the text file and put it into linked text frames, so I could adjust the size and position of the text frames on the pages and the rest of the document would re-flow. Creating the layout of The Mouse and The Bean was, for me, the most time-consuming part. Writing the story was actually much easier because it's a more straight-forward process. You put words on paper (or, in my case, into the text-editor) and then you change the words until you like the result. 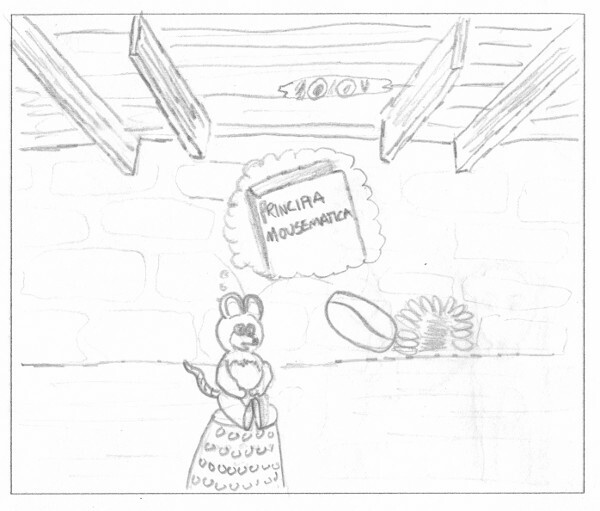 Doing the layout for an actual book requires a skill which I have not practised much. It took lots of tweaking to make it happen the way I wanted. The layout of the original prototype book was very basic. Essentially, each page had a 4.5" top margin, and given the font size that made a certain number of pages, which I printed in booklet form. 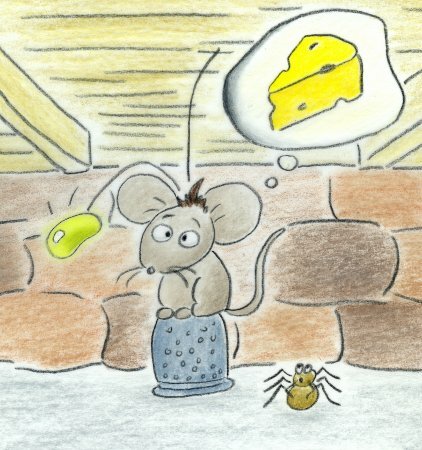 Then I put in an illustration for each page, according to whatever was on that page. It was easy, but not that professional. Ideally, you pace the story and the illustrations according to what is happening, not how many inches of paper you have. For the new version, I had a few significant changes to make, layout-wise. First, the book had to fit into at least 32 pages. I added some pages, such as a title page, copyright page, dedication, about the author, etc, but I still had a certain minimum number of pages to fill. Second, I had new illustrations, some of which were based on the original illustrations, and some which were brand-new. Even though the original illustrations didn't fit the new pacing, when LeBinh sent me her sketches I knew I couldn't discard any, so I re-worked the layout to fit all the illustrations in. This meant that I had several typical layouts throughout the book: pages with just text and the illustration on the facing page, pages with a single illustration spanning both pages, and pages with one or more illustrations on a single page along with the text. Finally, the new story was about two-thirds longer than the prototype. This meant that I did, indeed, have to ask LeBinh to discard some drawings as they didn't fit with the new direction of the story. 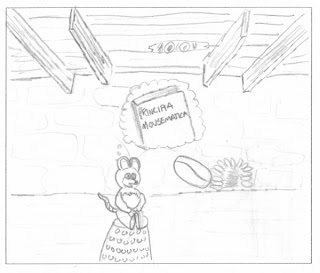 Fortunately, she was pleased with the new ending and didn't mind making new illustrations. Once we'd decided on the layout, and fit all the illustrations in place, I had to edit all the images to adjust their final appearance on the page. The most common problem was that the images didn't have a pure-white background. Because they were scanned, the background which appeared white was slightly off-white. The text, however, was on a transparent background and printed on pure-white paper, so the non-white of the images really stood out against the pure white background. Every single image which didn't completely cover the page had to be meticulously cleaned up. Any details which couldn't be cleaned up had to be faded, blurred, or cut. I tried several things before settling on some techniques which I found attractive. My first approach would be to simply cut out any not-white and make it white. If this was possible it gave the best results, as the foreground of the image would stand out against the page. This was difficult for me to do reliably, but I managed to do it properly for the spiderweb on the last page and several other pages. If this failed, I moved on to the next approach: blurring. When an image couldn't have the not-white removed, I would try instead to blur or blend it into the white background. This would give a better transition between the pure white and the image itself. I even blurred edges which weren't supposed to be white, to make the images site better within the page. But sometimes, this wasn't enough to make it look good. When I couldn't blend, I had to cut. At least one image didn't fit properly on the page because the background wasn't drawn all the way to one side. This background would have let me cut out the exterior and leave the interior, but as the line didn't reach the edge of the page it wouldn't work. So instead I cut out that whole line and blended the interior of the image to the page. The end result was probably not what LeBinh envisioned when she sent me the image, but it made for a nice effect and she said she liked it. After all the cutting and blending and cropping and tweaking was done, I was ready to save the PDF and upload it to Lulu. At the last minute I realized that I had misread one of the export options and had been over-compressing the resulting PDF, thus harming the quality. I quickly fixed my error and was shocked with a 500MB PDF file. Luckily, Lulu has an FTP service, where you can upload large files fairly easily. I uploaded the book and waited eagerly for my copy to arrive. When the first copy arrived, I was generally pleased with how it looked. I made a few minor edits to the text, I adjusted the image on the last page of the story, and I adjusted all the images (in a batch) to make them brighter (more gamma). The reason is that the Lulu process gives fairly dark prints, much darker than what appears on my computer monitor. I knew this would happen, but I was surprised to see just how dark the images were. I tried printing the images locally to see how they'd look, but my printouts were so different from the book that it was meaningless to compare. Instead, I adjusted the images by 20% gamma and hoped for the best. The next copy was much better, colour-wise, and thus I made the book available for sale. 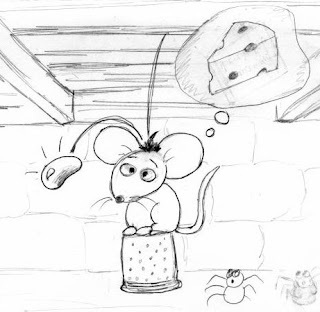 In this post I want to discuss my choice of micro-publisher. I chose lulu.com because their prices seemed reasonable, they had many formats available for publishing, and because the company was founded by Bob Young, who was formerly the founder of RedHat software. This gave them some credibility. Create a project: set its name, category, etc. It's really that simple. There is no minimum order. There is no maximum order. There are startlingly few restrictions at all. However, as the book's author you are also its editor, it's marketer, it's layout editor, it's cover designer, etc. You have to do the work and take care of the details. This meant that we'd need to use the 6"x9" Trade Paperback size if we wanted the hardcover version to use the same layout as the paperback. No other combination of colour book size was available in both paperback and hardcover. If we had chosen to use a different size for each cover type, we would have had to make two different books, one paperback and one hardcover. Each page would have needed a different approach. 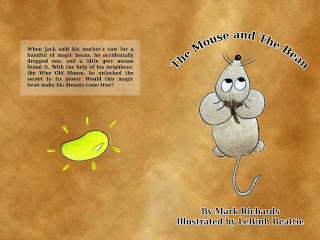 We felt that it would be good enough to go with the 6"x9" format and make the hardcover the same size as the paperback. Using the 6"x9" format proved to be challenging for LeBinh because a typical illustration will usually be wider than it is tall. It is for this reason that several of the illustrations in the book are at the top or bottom of the page. Making the book fit into the layout was the main problem after the story was written. Everything else was relatively easy by comparison. The basic process for publishing a book is quite simple on Lulu, however there are some things that a layout editor should know. Printing a book on paper is quite different than, say, printing a document on 8.5"x11" paper. You have to pay attention to margins. You have to pay attention to bleeds. You need to concern yourself with your colour process (more on that later). There are fonts to consider. There is a binding, and a cover. The cover has a spine which takes up width. Etc, etc. There are many details, only some of which get the attention they deserve on the lulu.com website. I wish there was a comprehensive guide which explained the process from start to finish, including all these details. Instead, you are encouraged to read the FAQs and online help in order to find the information that you seek. The problem is if you don't know what information you need, you won't know to search for it. I spent some time reading the help before I finished laying out the book and so I was somewhat fore-armed when it came time to publish the PDF file and upload it to Lulu. The one detail which required some planning on my part was dealing with margins and bleeds. Essentially, the margin is the space on the page which is outside the main content area. The bleed is the part of the page which is cut off during the printing process. When you are printing a book which contains illustrations that reach the edge of the paper (i.e. there is no margin) then you need to actually ensure that the picture is larger than the paper, so that it can be cut accordingly. Lulu's documentation recommended a 0.125" bleed. I was able to set up the bleeds automatically in the software I used for the layout, and then stretch my images slightly so that they went into the bleed area. Note: the bleed may not matter for the inside edge of the page, because you can't see that edge. After combing through the documentation and feeling somewhat secure that there were no surprises, I uploaded my PDF. The PDF file was over 500MB, so I used Lulu's FTP upload method. This is more reliable than a browser upload. When the file is uploaded, the publication wizard on the lulu.com website lets you select the file and add it to your project. My project had only the one file, so I'm not sure what happens if you have multiple files. Then I uploaded the cover, which was a single graphic designed to fit the cover's dimensions: front and back (each 6"x9"), spine, and bleeds. The cover is printed from a single sheet, so there are only top and left/right edge bleeds here. Lulu offers a cover creation tool, which lets you specify a front and back cover separately, but I didn't use this and didn't need it. Once the cover was uploaded, all I had to do was order a copy. I left the book as "private", so that only I could order copies, until I was certain that it was ready for people to read. I did end up making some changes before the final publication; once I was satisfied with how it turned out I made it public. The process was very easy overall. Lulu has some other features which I didn't use, namely ISBN and bar codes, and distribution features, such as submitting the book to the Amazon Marketplace. I will be investigating these features and reporting on them later once I use them. If I were starting over, I might try out some other publishers. I would shop around and pay more attention to the shipping costs, and the ease of getting into Amazon.com and brick-and-mortar book stores. However, I have been quite satisfied with Lulu so far and don't hesitate to recommend them to any other aspiring authors. 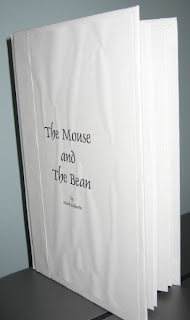 My last post discussed the original story and how I wrote it a long time ago and hand-bound it into a book. 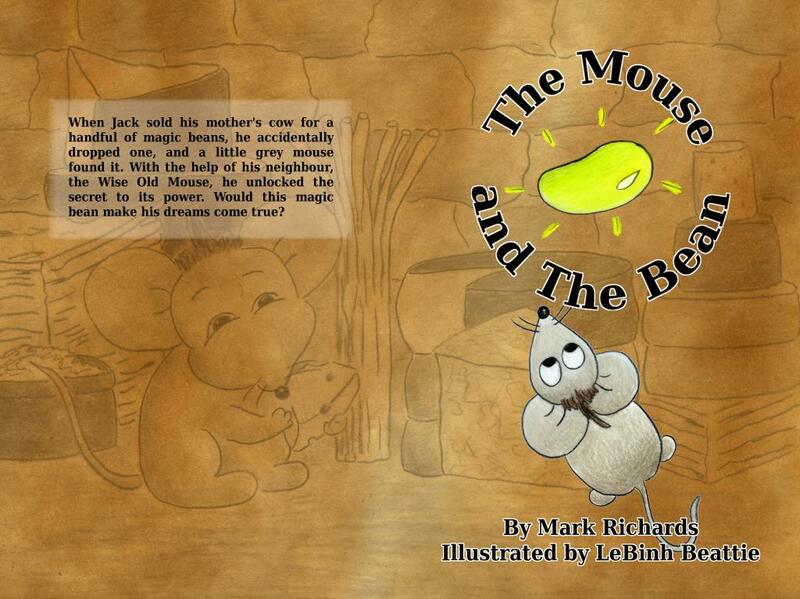 If there's something a good children's story needs, it's proper illustrations. I decided to recruit LeBinh to do the illustrations because I had seen some of her other artwork in the past and it was quite good. 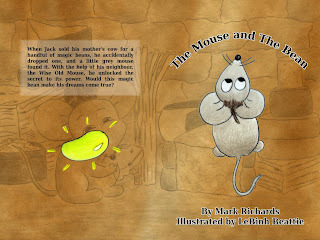 LeBinh started out by using my original drawings as guidelines, so that she could see which scenes needed illustrations. 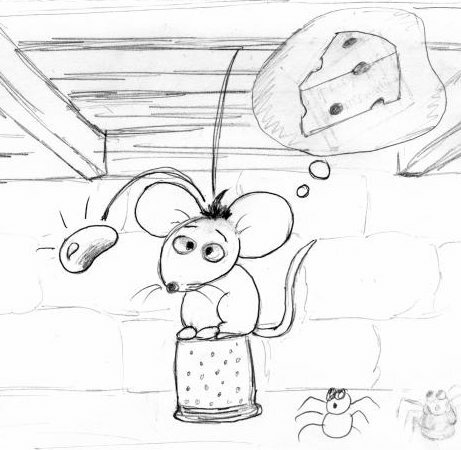 She developed a better representation of the little grey mouse and then drew some sketches. Her sketches were vastly better than mine. Early on we discussed the layout of the book and settled on a 6"x9" trade-paperback format. Lulu.com's minimum page count for a paperback book with perfect binding is 32 pages, so I started arranging the text and pictures to fill out those pages. After a few revisions it became clear that we would need more artwork in order to make sure that each page had a proper balance of story and art, and all the words lined up well with the illustrations. To shake things up a bit, I also decided to re-write the ending, which meant we had to get rid of one or two illustrations and add about 10 more. By this time we were better organized, and so we worked together to decide what illustrations would be needed, on which pages, and what sizes they should be. LeBinh's sketches were fairly close to the final illustrations. The sketches were black and white, but had the same size and layout as the final illustrations. This meant that after scanning the final illustrations and then switching from the sketch to the final image, it seemed as if the colour had simply been turned on, rather than it being a completely new illustration. Once all the illustrations were done, it was time to move on to the cover. Welcome to the first in a series of posts about the making of the book. In this instalment I want to discuss the original book that I made for my wife, as a birthday present, in 2004. This book was fairly amateur in its production. I was always a last-minute person and knew that there was no way it was going to be professionally printed or bound, and so I simply went ahead and created the book using my trusty computer and printer. I typed out the story using OpenOffice, without any regard to formatting. I simply typed and typed until the story was finished. After some editing and proofreading, I changed the paper size and margins manually, so that each page would print out on one quarter of an 8.5"x11" paper. Then I had to count up the pages and determine how many sheets would be required for a two-sided booklet. When printing a booklet with 32 pages, pages 1 and 32 are on the same side of one sheet, and on the other side are pages 2 and 31; the next sheet has 3 and 30 and 4 and 29, and so on. Once this was determined, I printed the text out by manually feeding in the sheets and printing a single page at a time. The booklet printed, I then began the illustrations. Note: I am a terrible illustrator. When I (years later) showed the book to a friend and asked him what he thought, and then showed him LeBinh's concept sketches, he was shocked to see the sketches, and said "... but these are GOOD?!" Once I explained that I didn't draw the new sketches he understood. Despite my poor drawing ability, I still had only myself to rely on. I decided to be very conservative about the illustrations. Since each sheet of paper had 4 illustrations on it, if I made a mistake after the first illustration it would mean starting all the illustrations over again. I'm certainly not practised enough to do a sketch the same way more than once. And at that time I didn't have a scanner or suitable digital camera to allow me to digitize the images. So I used a pencil. That way my trusty STAEDTLER MARS PLASTIC eraser (which I still have, from grade school, barely used) was able to cover for me until the drawings were just the way I wanted them. Or at least, not so bad that it would hurt your eyes. The final result was then bound in a hand-made hardcover. It was easy to glue cardboard to the outer page of the booklet and then wrap it in a handsome white paper wrap. At this point I didn't trust my artistic skills enough to make a nice cover and so that was it! Voila, a "finished" product.